Welcome to another adventure in the multiverse! For this episode, we are going higher, further and faster than we ever have before. 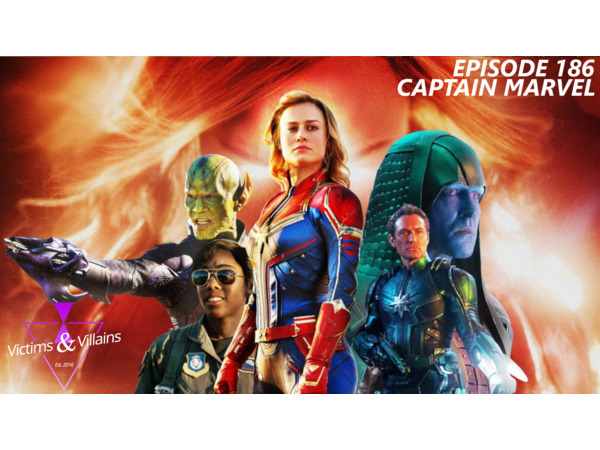 We're talking about the first ever female led MCU movie, Captain Marvel. We are joined by our resident movie man, Dan Rockwood, and Beggars front man, Cory O' Carroll. Beggars is a southern Florida pop-punk band. If you're fans of All Time Low and Relient K, this is a band you need to check out. For this episode, we're paying homage to our favorite Stan Lee moments, the dual narrative of the film, cats, 90s culture, what this film means for the MCU and more. If you wanna get more out of this episode, click here (https://bit.ly/2J0g0BM). Music by Logan McElroy and Beggars. The X-Files are property of Fox. We do not own nor claim any rights. The Flash & Man of Steel are property of Warner Brothers & DC Comics. We do not own nor claim any rights. Networked by That's Entertainment! Super Smash Bros is property of Nintendo. We do not own nor claim any rights. Captain Marvel is property of Marvel Studios. We do not own nor claim any rights.